You may be wondering where the five gray wolf pups that arrived at the Minnesota Zoo this past July are, right? To help refresh your memory…five orphaned gray wolf pups were rescued from the Funny River Wildfire in Alaska and an Alaskan fire crew found them in a den, not with their mother, but with a porcupine. Most of the pups had injuries via quills from their not so friendly visitor. After being rehabilitated by the great animal care staff at the Alaska Zoo, they safely arrived in Minnesota on July 15, thanks to our partners at Delta Air Lines. Well, where are they now? Currently, all five pups are being cared for behind the scenes in a mandatory quarantine period. Why are they in quarantine you might be asking yourself? All new animals that come into the Minnesota Zoo are required to go through a quarantine period that can be anywhere from 30 days to 90 days, or longer in some cases. This time in quarantine, away from all current animals, serves the purpose of making sure they are free from diseases and parasites. 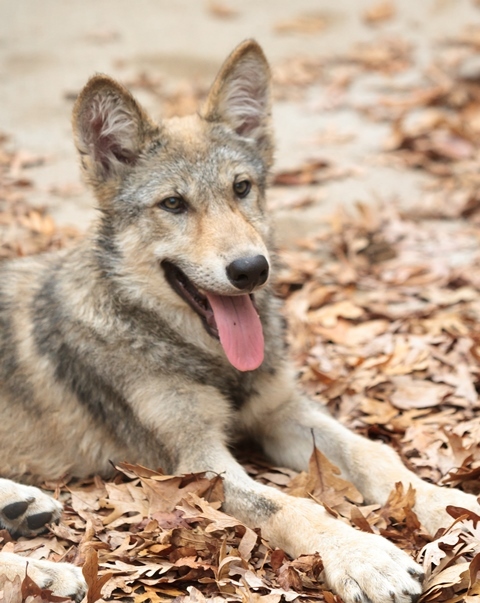 During their time in quarantine, so far, Minnesota Zoo veterinarians discovered the five gray wolf pups have a parasite called hookworm. Hookworm is very common in puppies and kittens, usually passed from ingesting larvae in the mother’s milk. Hookworms are small worms that attach to the lining of their intestinal wall and feed on the animals blood. The eggs of the hookworm were detected under a microscope during a quarantine check of a stool sample. We have been “deworming” the pups, but multiple deworming treatments must occur with hookworms, in order to fully remove the parasites. They have two more treatments before they have completed the deworming process, a total of four treatments will be given. On a different note, the five gray wolf pups – X-ray, Stebbins, Hooper, Huslia, and Gannet, named by the firefighters that discovered their den, are growing quickly! They have gone from weighing around 14-15 pounds to weighing 31-35 pounds, with the two girls being the lightest. They were all given a thorough examination, spayed and neutered. Overall, the pups are healthy just a few minor issues we have encountered. One of the pups, X-ray, had a porcupine quill stuck in his eye when they were initially found in Alaska. During his check-up, our veterinarians examined it and think his cornea will heal. Stebbins had an abscess on his nose, which was thought to be from a porcupine quill, which later drained and now looks to be healing properly. 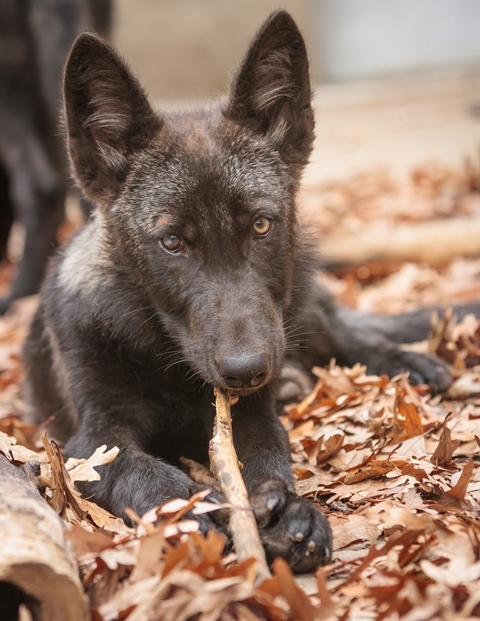 The female wolf pup, Huslia, was eating very carefully and we found she has chipped her canine teeth, but as they are “baby teeth,” they will soon fall out and new teeth will grow in their place. Again, overall all five wolf pups are healthy and happy and looking forward to making their public debut along the Medtronic Minnesota Trail with in the coming weeks. Exact date is still “to be determined” based on their health, but the Zoo will definitely announce when the date has been set for the public to come and visit them. To learn more about gray wolves in general, please visit our website.